Those who have seen God are never the same. The children of Israel asked to see the Lord of Moses, but when they saw the Lord they were afraid and ask Moses never to allow them to see God like that again [see Daniel 10:7-10, Luke 2:10, Acts 9:3-4]. In Revelation 1:9-18, John saw the awesomeness of Christ and fell as a dead man. People who see God are left with an awesome, fearful, and unforgettable impression of who God is. A response to seeing God is similar to one who is on fire. What is the normal trained response or actions for someone who is on fire? Stop, Drop and Roll. Just as that is a memorable way to deal with being on fire it is also a great way to respond to God. STOP to take a long look at who you are and who God is. Isaiah sees that his spirit is on fire. Hot! Isaiah is deeply impacted by seeing God. As he glimpses God’s holiness and glory he says, “Woe is me.” This is not “whoa!” but “woe!” In ancient times “Woe” was a pronouncement of judgment on those who dare disobey God’s Word (cf. 5:18-23). It was a shot to the heart, a punch in the kisser, and a kick to the spiritual stomach. As Isaiah gets a glimpse of God and he’s devastated. He got a peak behind the curtain of the holy of holies and is found out. He’s caught. He’s ashamed. He’s afraid. He speaks a judgment upon himself as if to say, “I’m toast!” It’s not an understatement—Isaiah’s freaking out. He is no longer shocked by the sins of the king or Israel but by his own sin. Before he pointed one finger at Israel but now points three back at himself. He sees no ones sin but his own in the presence of God. Isaiah thinks he’s toast. He knows he deserves to be. That he is still alive is a wonderful thing. We are a people of “compare-ers.” We compare our actions to those of others to see whether we are acting right. And, quite honestly, compared to all the people in the world, Isaiah was probably one of the best people there was. But when he saw the glory of God there was no comparison. Although Isaiah was better than most people, he knew that he was filthy compared to God’s pure holiness. Isaiah admitted that he was a sinner. He had no excuses for his sinfulness. He had no one to blame. He had no where to run and hide. I believe there is a great need to reintroduce the word “woe” to our devotional vocabulary. When you finally take a moment to look at who you really are and who God really is. Our “Woe!” can lead to “Whoa!” which leads us to the next response. DROP to your knees and receive God’s forgiveness. There is something very interesting and weird going on here that is being illustrated. In Isaiah’s day, their was a pagan practice called the “washing of the mouth.” Similar to washing ones mouth out with soap it was a ritual that took an inanimate idol and made it inhabited by a god. The image would be purified and cleansed to be ready for a god to dwell in it. The cleansing ceremony Isaiah experiences is quite similar, but ironically God chooses Isaiah to cleanse and be His spokesmen to the pagan idolaters. So what could Isaiah do about his sinful condition? Absolutely nothing! What did God do? Everything. God’s messenger flew to Isaiah, took a burning coal from the altar, and touched his lips. Fire is used in the Bible to purify things (Malachi 3:2-3). This burning coal from God’s altar was a symbol that God was the One who made Isaiah pure. Only God can save someone from his sins (Revelation 7:10). God did not just cover up Isaiah’s sin. God took Isaiah’s sins away! Isaiah’s sins would not be remembered or talked about ever again because God took them away! I am so glad the story doesn’t end in verse 5. Isaiah is not left feeling the heat of his sin. He feels the forgiveness and restoration of God. He is not left feeling afraid, guilty or shameful. He feels true freedom. When Adam sinned in the garden there were three consequences of sin that happened. First, guilt. He broke one of God’s rules. Second, shame. He want to hide from God and cover his nakedness. Third, fear. Adam was afraid for his life as death was introduced into the world. You might know firsthand the the affects of shame, guilt and fear. Maybe shame seeped into your life because of a hidden or naughty habit, a relationship crossed certain boundaries, or a detail about you if uncover you would haunt you forever. Maybe guilt got the upper hand because you felt like you’d never measure up to the standards of someone or you just can’t quite quit that nagging guilty pleasure. And guilt manifest itself in depression, self harm, eating disorder, or blame shifting. Maybe fear trapped you because of various unknowns, via threats breathed down upon you, or someone holding dirt on you that if leaked could tarnish your reputation and future. We often look at guilt, shame, and fear as bad, which they are if used as tools against someone or yourself. However, God uses them for good as a tool to motivate you not to go there again and to seek rest in God’s forgiveness. Notice how God’s pursues forgiveness in Isaiah. He he does this with you too. He pursues you through the work of Christ on the cross that shed His blood as your substitute so that you might be forgiven and free. Have you known the forgiveness of God? Just as God took away all of Isaiah’s sins, God wants to take away your sin also. He sent His Son, Jesus, to become the holy sacrifice that takes away your sin. Just look at what the Bible says God does with your sin. God purifies your sins by the blood of Jesus (1 John 1:7). God takes your sins from you as far as the east is from the west (Psalm 103:12). Your sins can never be found (Jeremiah 50:20). God forgives you of your sin and cleans you from all wickedness (I John 1:9). God will trample on your sins under His foot. Just imagine God stomping His foot on your sin! And God throws all your sins into the deepest part of the sea (Micah 7:19). If you have not done so, it is time to drop your shame, guilt, and fear at the feet of Jesus who will forgive you today and forever. 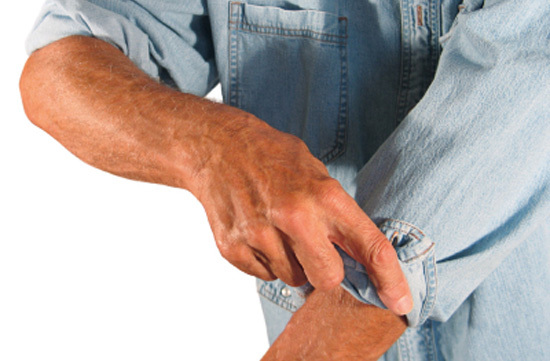 ROLL up your sleeves and get going. Again, the verses do not end after 6-7. Isaiah is not immobilized or handicapped. He is not out of commission and sidelined because he has blown it or because he is a sinner. Interesting, after God took away Isaiah’s sin, he hears God speak! 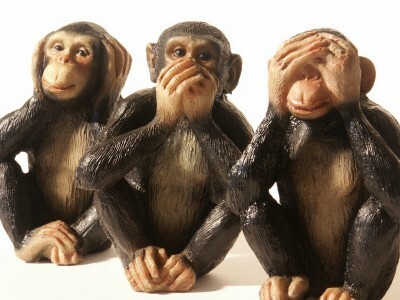 So often he is silent because our sin is like putting in earplugs. What does God say? After God cleanses Isaiah He commissions him: see to it that My people know I am forgiving too. It is no irony that Isaiah’s commission is similar to Jesus commission to his followers in Matthew 28:19-20. Commonly, commissioning follows cleansing. Cleaning is God’s path to making you ready, useful, and humble for the task he has you to do. One who is forgiven is forgiving and goes and tells of God’s great forgiveness. That’s the goodness—the gospel—in a nutshell. God was looking for the person who would be His messenger. Isaiah didn’t hesitate. He wanted to be the one used by God. Isaiah sees who God is. He is wowed. He says WOE! And God wipes away the fear, guilt, and shame of his sin. Isaiah is pure and clean in God’s eyes. He is ready to be used by God. Likewise, Jesus came into this world to rub shoulders with people harboring loads of shame, guilt, and fear. He came to free you from it. He died for the sinner so that the sin would no longer have any power. So that you could know the greater power of forgiveness and be used by God as an example of what God does through Jesus. Today you stand at the altar. Will you stop and humble yourself before God and see him as he is? Will you drop to your knees and enjoy his forgiveness? Will you roll up your sleeves and let others know who God is? How will you respond? Let God touch your lips that you might taste his goodness and sweet forgiveness. In Isaiah 6:5. Isaiah responds to his vision of God. What does Isaiah immediately become aware of? In other words, when you see the holiness of God, what do you see in yourselves? Have you every experienced that before? Why is it important to learn about who God is? Why is it important to see God not as you want to see Him, but as He truly is? What does it mean to you STOP, DROP and ROLL as Isaiah explains it? Why is this important to remember as a follower of God? We live in a culture—as others before—that are not easily wowed. We pack arena’s chanting our favorite songs from our favorite band. We wait in line to see the next biggest summer blockbuster. We swarm sports stadiums to cheer our beloved team. A few years ago, I had a bucket list item come true. I went to my first ever Packers game at Lambeau Field. Growing up in Wisconsin only a 50 miles from the Frozen Tundra is was my dream to see the Cheeseheads play live. Before the game began I almost teared up as I walked from the concourse into the stadium seats. 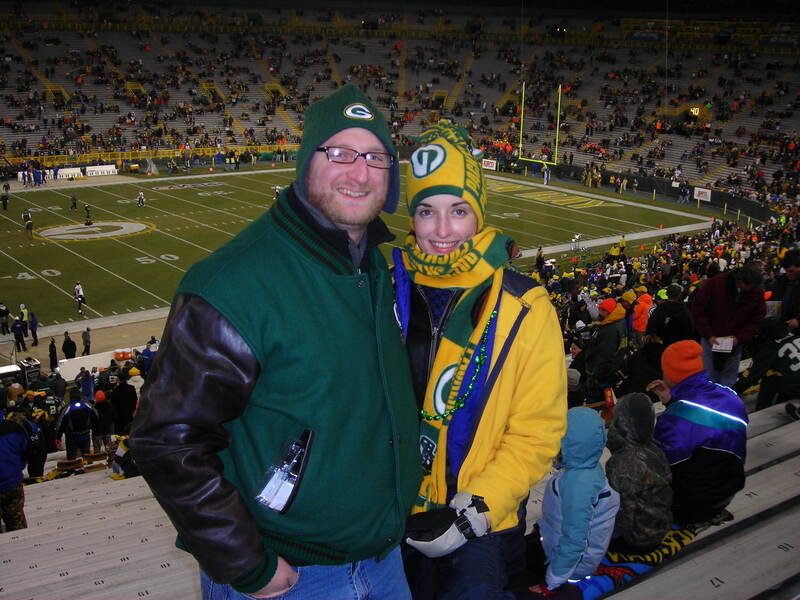 It was cold and loud and the Packers blew out the Vikings. I was wowed by the experience. What are you wowed by? Chances are what wows you is what you worship. It is not easy to define worship in a culture that readily worships anyone or anything. Yet worship is about what you live for. Every day, all day, everywhere you go, you worship. It’s what you do. It’s who you are. You can’t stop it nor live without it. Worship is a way of life. It is a whole-life response. You are a worshiper before you are a sister, brother, father, mother, student, employee or boss. Worship is simply about value. Worship is your response to what you value—what wows you most. Uzziah is different than Isaiah. Isaiah is Israel’s prophet, but Uzziah was Israel’s king. He was revered because he brought peace and stability to his nation. 52 years he reigned, which is longer than most Israelites in his day lived (think Queen Elizabeth II; 63 years). Imagine your entire lifetime one man was president or king, everything’s running smoothly, then you hear the news “the king is dead.” Although he was king, he was still human. Note the reason for his death (2 Chronicles 26:15-21; 27:2). Uzziah grew proud in his old age. He thought of himself as superhuman. And God has a way of humbling monarchs with a god-complex. God struck Uzziah with leprosy and he died. And just days after his death the nation of Israel began to unravel. So in the same year a human king dies, Isaiah gets a vision of the Great King who lives. While Uzziah isn’t, God is. And this is what Isaiah sees of God—the God who is. What unveils are some spectacular truths about who God is. Get ready, put your seat belt on, and be wowed (vs.1-4) by God as Isaiah sees him. Uzziah may be dead, but God still lives. It’s as David said, “From everlasting to everlasting, You are God” [Ps. 90:2]. God isn’t dead. Isaiah sees him. God doesn’t have to prove it, but he often does. He was alive when the universe began. He was alive when the Buddha and Muhammad walked the earth. He was alive in 1492 when Columbus sailed the ocean blue. He is alive today. And He will be alive ten trillion ages from now when all the puny powers of the earth like the Kardashian’s and Donald Trump are long forgotten. God always has been and always will be alive, even right now, He lives. You will never see a vision of God taking a nap or out of the office for vacation or scrambling to figure out what he’s going to do tomorrow or stressed out by all the work he has to do. He sits. And he sits on a throne. He is in control and never out of control. Heaven and earth are not falling apart. He holds it together. He keeps the rules and writes the rules. Whether you like it or not. Whether you allow him to or not. He is sovereign. Who are you and I to question his authority? Uzziah is peanuts compared to God. He’s a pawn in God’s hand. It’s a humbling yet hopeful truth to know that God is in control. 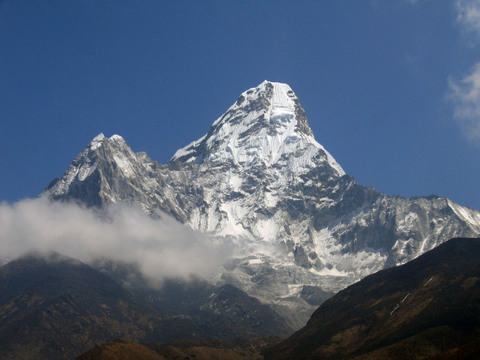 God’s throne highest, biggest, and better next to any other earthly throne. God’s throne stands above all other thrones. Other thrones are not even in the same stratosphere. God is the supreme and he exercises supreme authority. What God purposes, He accomplishes. Later God says to Isaiah, “My counsel shall stand, and I will accomplish all my purpose” [Isaiah 46:10]. Many have tried, but no opposing authority or earthly king or powerful person can nullify the decrees of God. God is majestic and most important. Why do kings adorn themselves in robes and crowns and extravagant clothing? It is because they want to separate themselves from the subjects they rule over. It’s to stand out or to appear majestic and important. 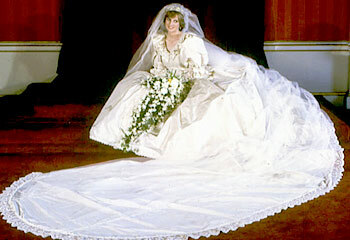 When Queen Elizabeth II had her coronation at Westminster Abbey the train of her robe was carried by a dozen ladies in waiting, but God’s robe made the queen’s robe look like a baby blanket. It’s like a bride on her wedding day dressed to impressed and her gown covers the aisle, the steps, the platform, the chairs, the lights and all. That God’s robe fills every inch of the heavenly temple is to show us that his beauty and majesty and importance are incomparable. God loves to wow us. Just look at the stars, mountains, patterns of nature, and intricate details of the human body. If the world God created is so majestic, then he—the Creator—is so much more so. What earthly king or mortal man has these kinds of servants? Say it? “No one!” No one knows what these strange six-winged creatures are (certainly not some chubby winged angel babies) nor do they appear again in the Bible. When one of these angels speaks the foundations of the temple tremble (v.4). If you caught a glimpse of these angels you’d be wowed, but notice, God wows them. They cannot look at God. They feel unworthy to be in his presence. They revered God. How much more so should we? God is in a separate category. He is in a class by Himself. No one is like him. Nothing compares to him. We would say, God is awesome, unbelievable, or unfathomable. He is beyond words. We are speechless trying to come up with a word to pin him down. That is the essence of holiness. If you want to know was God’s glory looks like with skin on just look at Jesus. “And He is the radiance of His glory and the exact representation of His nature.” (Hebrews 1:3) Jesus never turned down people worshiping or praising him, yet he often deflected glory to his Father. The greatest barrier to being wowed by God is me. I want to wow others. I seek glory from my fellow man. One day God will blow away and chase away every competing glory—the other things that wow you more than God. The truth is as you live wowed by God you too reflect his holiness and glory to the world around you. Like Isaiah, maybe you have been wowed by him. But for many of you maybe you still need more glimpses of God. Draw near to God. Look upon him. Be in awe of him. Let him wow you. When you spend time with Him, He will point it out to you (Exodus 33:18-19). And when you do God’s will, you show God’s glory to others (John 17:4, 1 Peter 2:12). And God promises, “You will call upon me and come and pray to me, and I will hear you. You will seek me and find me when you seek me (go hard after me) with all your heart” (Jeremiah 29:12–13). Coming up next: Isaiah’s response to God and the result of obeying God. Before Isaiah’s vision, who died? Why was that a big deal? What emotions do you think Isaiah was feeling before the vision? 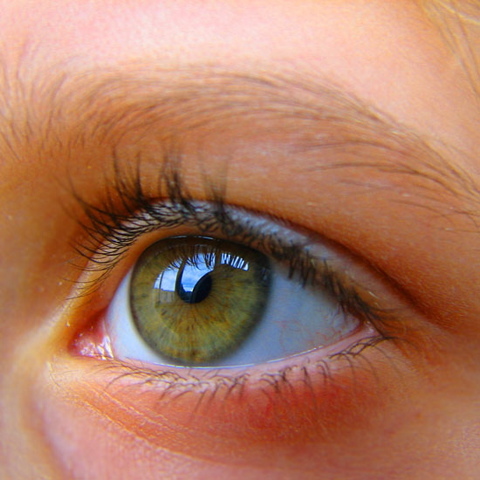 How did the vision refocus Isaiah? How might the vision of God had calmed Isaiah’s fears or worries? What does fear and worry usually show our hearts are trusting in? Why is knowing about God so important? How does knowing God help you when making decisions? When facing temptations? Which truth about God in Isaiah 6:1-3 wows you most? Image from the Science Blog. We are imitators [1 Cor. 11:1]. From the time we are little kids we mimic what our parents say and do, much to their cringing. We reflect [Gen. 1:26, image bearers]. It is a matter of what or who you imitate and reflect. G.K. Beale says in his book, “What you revere you resemble for your ruin or restoration.” You either become like the idols or like God, you either reflect or imitate the Creator or something in creation. We are at worship war every day [Psalm 135:14-18]. Idolatry blurs the line between the Creator and creation, damaging creation [me] and diminishing God’s glory. Isaiah both reveres and reflects God to the nation of Israel amidst the nations idolatry. Idolatry = whatever your heart clings to and relies upon, other than God [What is your security?]. 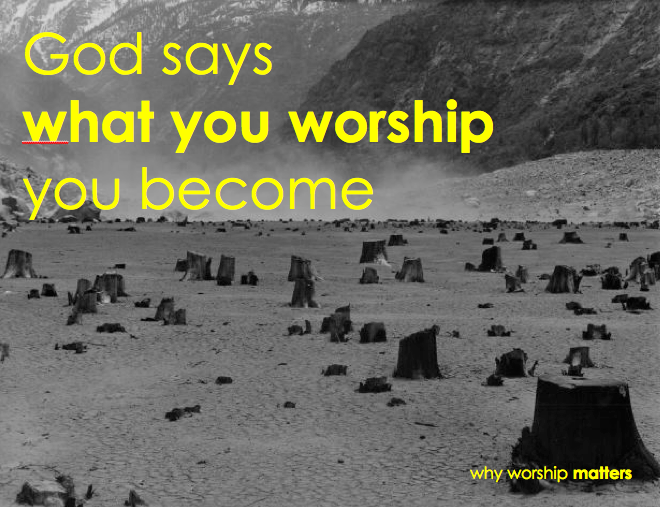 Idolatry is wasted worship. 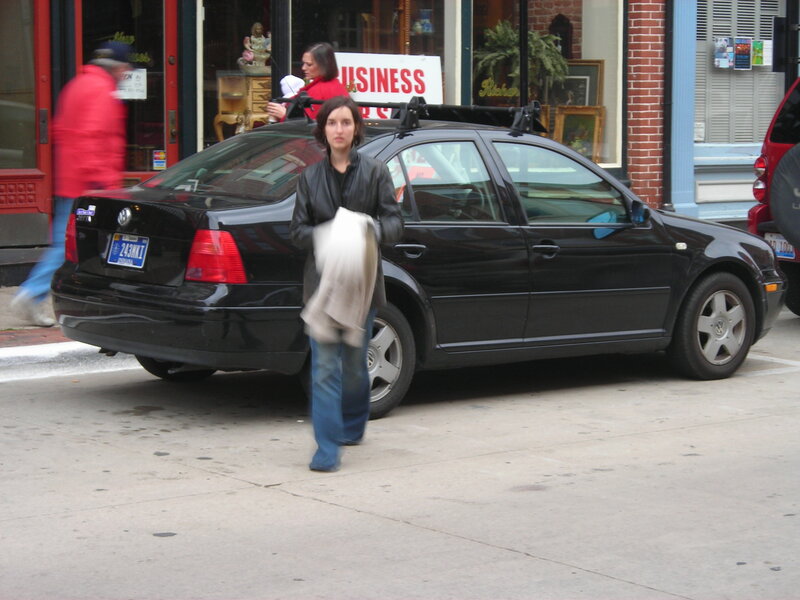 I remember in college I really wanted to have a new Volkswagen Jetta. It was the hottest car for college students to have. I took one out for a test drive and was enamored. The sound system was pumping and the accelerator had some get up and go. I needed to have one. Need is a very strong word. Three years ago a family member was selling their Jetta and it was in my price range. I bought it. As I drove away I though I was hot stuff. In a matter of months the luster wore off, maintenance became an issue and a new model of the Jetta rolled off the line. Isn’t that how idols works? Idols cover as needs, but when you have it, they wear out quickly. God is judging a nation for centuries of sinful rebellion and Isaiah is chosen to deliver the bad news. His generation was the last straw. God had enough. God is slow to anger, but His patience does run out. Like Hebrew 6:1-3, God’s grace and justice are in the balance. He is gracious [slow to anger] and just [character demands consequences for sinfulness]. Isaiah would see the fulfillment of His people being destroyed. His family, childhood friends, men who sat in the cubical next to him at work would all feel the wrath of God. Can you see the tears well up in Isaiah’s eyes? What if these were your neighbors, kin or co-workers? Did Isaiah know he would be preaching repentance 50 years to a rebellious people who would ignore His God-given message? Yes. He knew from the beginning he would be speaking to people who would be incapable of accepting correction. He knew God is gracious because His doctrine of God was inspired by God’s forgiveness. Isaiah asks a heart-filled question, “How Long?” The response is grim, “until there is complete devastation.” The children of God—His chosen people—will be like stumps. In other words, they will be an illustration of a ruined life to the world. Can you think of some so-called followers of Christ who are pictures of a ruined life? However, in the midst of the smoke and rubble a remnant remains [cf. v.10 “return and be healed”]. God promises restoration no matter how far gone or deep under water His people have become. In the midst of chaos there is always Cosmos. God is a Restorer [Note: in Isaiah 7-9, God promises a Restorer who will come to His people]. Jesus is the Seed that will sprout from the stump and Restore His people through His work on the cross [cf. Isaiah 7:14; 11:1-2; 53]. Making it real: Imagine next Sunday you go to church to attend the worship service and imagine yourself in the throne room of God because He is present. Since He is here how could that affect how the Word penetrates or what comes from your mouth? Who is on the throne in your life? Who rules and calls the shots? How can the characteristics of God give you hope in times of weakness or temptation? What idols are gripping your heart? Worship is part of our God-given DNA. We are wired [pre-wired] to worship! We were made for God [cf. Roman 11:36]. Worship begins and ends with God. He is the center of our existence. Worship is what God is all about. 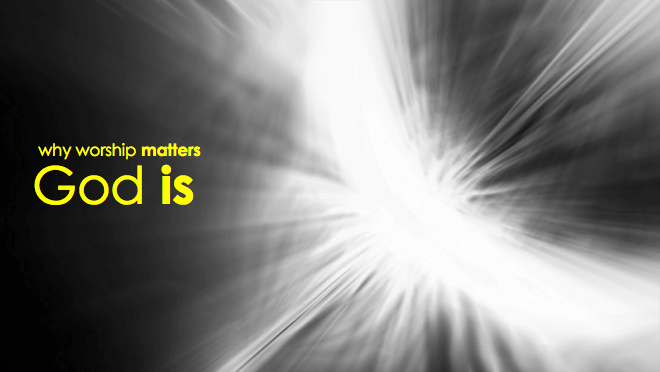 Worship matters because it matters to God. Worship matters because God is [alive, authoritative, omnipotent, majestic, revered, holy, and glorious], God is pursuing willing worshipers [STOP, DROP, and ROLL], and what you worship you will become for your ruin or restoration. Are you willing? Are you willing to do hard things? Are you willing to admit and acknowledge who God is and who you are? Being a willing worshiper is like knowing—what to do when you are on fire: Stop, Drop and Roll. When Isaiah gets a glimpse of God He not only sees God for who He is, but sees Isaiah for who He is. Isaiah responds to God. Isn’t that true when you see the God of the Bible He wows you? Isaiah is deeply impacted by God as he watches this unfold before him. He feels unworthy to be in the presence of the GOD who IS. He says, “Woe is me.” In other words he is saying, “I’m dead, I’m done for, I am silenced.” It is as if you got to peak under the curtain of the holy of holiest and you were found out. I’m caught. I’ve offended the King. I’m ashamed. Now I’m toast. In a sense Isaiah asks, “How can I speak on behalf of God? I am unclean and I live with people who are unclean.” Don’t ever think that you are some holy Joe or Jane! Sure compared to the person in the pew next to you maybe, but not compared to God. May God forgive us our pride and arrogance, and give us a holy sense of who we are and who He is. The natural response to gazing upon the greatness of God is to drop to our knees for forgiveness. There is something interesting at work here. In Isaiah’s day their was a pagan practice called the “washing of the mouth” ritual that took an inanimate idol and made it inhabited by a god. The image would be purified and cleansed to be ready for a god to dwell in it. The cleansing ceremony Isaiah experiences is quite similar, but irony as the True God chooses Isaiah to cleanse and become His spokesmen to the pagan idolaters. Have you felt the forgiveness of God? Guilt should not handicap you; rather motivate you not to go there anymore and rest in God’s forgiveness. I am so glad the passage does not end in verse 5. In God’s holiness we see our sinfulness. Yet God calls and commissions us to holiness too [1 Peter 1:14-19]. From guilt to grace, Isaiah is cleansed from His sinfulness and experiences God’s forgiveness. God’s holiness is unattainable, but His forgiveness is not. In the midst of chaos there is always Cosmos. God is a Restorer. God’s pursues forgiveness in Isaiah and you too. He pursues you through the work of Christ on the cross that shed His blood as your substitute so that you might be forgiven and free. Forgiveness is never passive, it is active. After the cleansing God calls Isaiah to a difficult task: see to it that My people know I am forgiving too. After forgiveness I am called to share the good news and warning to others. Can you hear God call you to serve Him? Will you respond? Commissioning follows cleansing. In God’s economy worship = serving. Worship = life. Worship matters because GOD IS and His character demand my worship. GOD IS PURSUING WILLING WORSHIPERS and my presence is expected. We are about all worship. It is not easy to define real worship in a culture that readily worships anyone or anything. Worship is about what we live for [who we are]. Every day, all day, everywhere you go, you worship. It’s what you do. It’s who you are. You can’t stop it or live without it. Worship is a way of life. It is a whole-life response to God’s greatness and glory. You are a worshipper before you are a father, mother, sister, brother, boss, employee or student. Worship is simply about value. Worship is our response to what we value most. 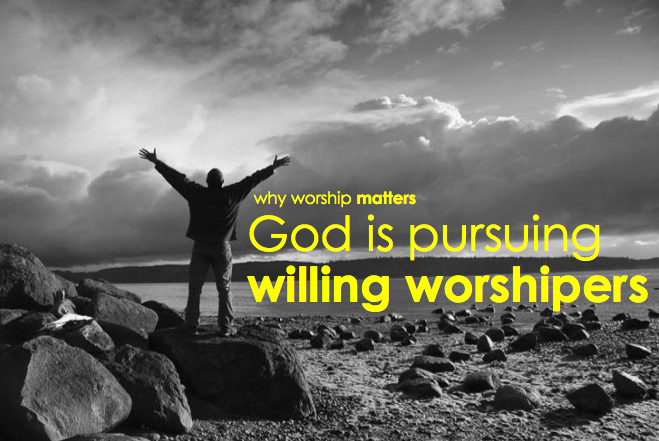 Why does worship matter? Why must worship matter to me? Why is it so important? Worship matters because GOD IS and His character demands my worship [Isaiah 6:1-3]. Isaiah says, “I saw the Lord.” Uzziah is dead, but God still lives. “From everlasting to everlasting, You are God” [Psalm 90:2]. God has no beginning or end. He does not depend anything or anyone to exist. God was alive when this universe banged into existence. He was alive when the Buddha and Muhammad walked the earth. He was alive when JFK was shot. He was alive when a tsunami sweep away Indonesia, and earthquakes rocked Haiti and Chile. He will be alive ten trillion ages from now when all the puny people in power are long forgotten. But not God, He always has been and always will be alive. “I saw the Lord sitting upon a throne.” He is the Supreme Court, the Legislature, and the Chief Executive. Heaven is not coming apart at the seams. He holds it together. He sits on a throne. He rules with peace and control. He has authority over our lives even though we may never acknowledge Him. 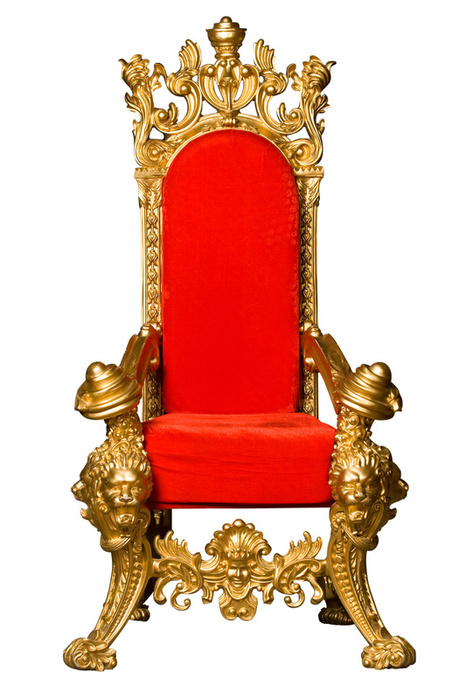 “I saw the Lord sitting upon a throne high and lifted up.” God’s throne is higher than every other throne signifies God’s superior power to exercise His authority. No opposing authority can nullify the decrees of God. What He purposes, He accomplishes. “My counsel shall stand, and I will accomplish all my purpose” [Isaiah 46:10]. “I saw the Lord sitting upon a throne high and lifted up, and the train his robe filled the temple.” You have seen pictures of brides whose dresses are gathered around them covering the steps and the platform. What would the meaning be if the train filled the aisles and covered the seats and the stage, woven all of one piece? That God’s robe fills the entire heavenly temple means that he is a God of incomparable splendor and honor. His creative fullness spills over in excessive beauty. God loves to wow us. “Above him stood the seraphim; each had six wings: with two he covered his face, and with two he covered his feet, and with two he flew.” No one knows what these strange six-winged creatures are [not some chubby winged angel babies], and they never appear again in the Bible. When one of them speaks, the foundations of the temple shake [v.4]. These are magnificent creature that most of us would be wowed by, but God wows them. “And one called to another, ‘Holy, holy, holy is the Lord of hosts!” God is in a class by Himself. 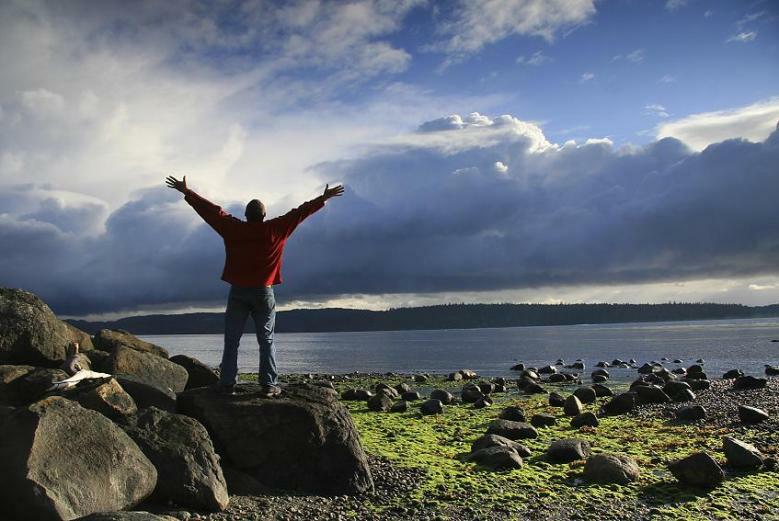 When asked for His name in Exodus 3:14, He said, “I am who I am.” What is God’s holiness? [Hebrew Qadesh, Greek Hagios, separate/different] 1 Samuel 2:2, “There is none holy like the Lord, there is none besides You.” Isaiah 40:25, “To whom then will you compare me, that I should be like him? says the Holy One.” Hosea 11:9, “I am God and not man, the Holy One in your midst.” And repeated throughout the Scripture is the theme: “YHWH alone is God” [Ex.22:20; 34:14; 20:5]. God is incomparable, unfathomable. It determines all that He is and does and His ways are not determined by anyone. His holiness is what He is as God, which no one else is or ever will be. Getting a glimpse of God’s holiness will rock your world to the core. There is no way to scale mountain and heights of God’s holiness [not even in this message or our lifetime]. “The Lord is in his holy temple; let all the earth keep silence before him” [Habakkuk 2:20]. Worship matters because GOD IS. His character demands my worship. What is worship? What is a worshiper? Worship is about God, to God and for God. Worship is about what you love. You love something or someone. What you love you give time, talents and treasures to without thinking. Worship comes natural to us because that is how God wired us. We are wired to worship. The Bible is chalked full of men and women who followed God with an unquenchable thirst. Followers of Christ are worshipers. 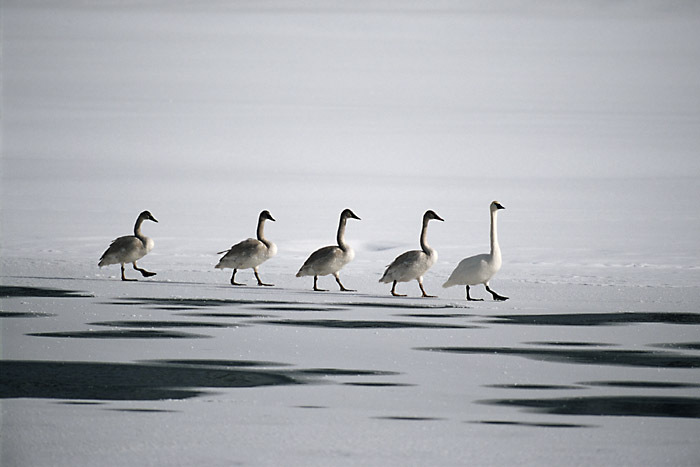 Followership is another word for worship. One such follower is Habakkuk. Even in bleak circumstances battered by extreme doubts he praises God [3:17-18]. Then there is the Paul who is imprisoned for his faith [Acts 16], but still finds a way to share the good news. How many blessings I enjoy, that other people don’t. To weep and sigh because I’m blind, I cannot, and I wont. I wonder what my response would be like if I were in the same situation as these saints who have gone before? Would I have complained or become calloused? Or would I be content, compassionate and worshiping God? Though blind, Fanny could not wait to see Jesus’ face. She has an eye for worship. She didn’t see an end in blindness, but viewed endless opportunities to praise God. Once you get a glimpse of God you are never the same, even in a world that does not acknowledge His presence or purposes [Isaiah 6:1-13; 29:13]. What we learn from Isaiah in the divine throne room is that God is full of wonder, awe and mystery. He is Qadesh [Holy]. His name is Holy One. There is nothing or anyone like Him ever. He is set apart, therefore, He is worthy of our fear, reverence and life. Once you have seen God you become a worshipful follower. On this side of heaven we have only get to see a drop of His glory in the ocean of His splendor. Here is both a comforting and convicting fact of the Bible: You become like what you worship. What you follow you worship. Who you follow is who you worship. You will become like the object of your worship either for your ruin or restoration. You will either be blind, deaf and lifeless like idols or full of life like God. Worship must be about God, to God and for God. Worship is about what you love. You love something or someone. What you love you give time, talents and treasures to without thinking. Worship comes natural to us because that is how God wired us. We are wired to worship. Fanny Crosby, quoted in S. Trevena Jackson, This is my story, This is my Song, Emerald House, n.p. G.K Beale, We become what we Worship, IVP, 2008.